Maruti Suzuki Swift is everybody’s favourite, now the Government of India too have got attracted to it. 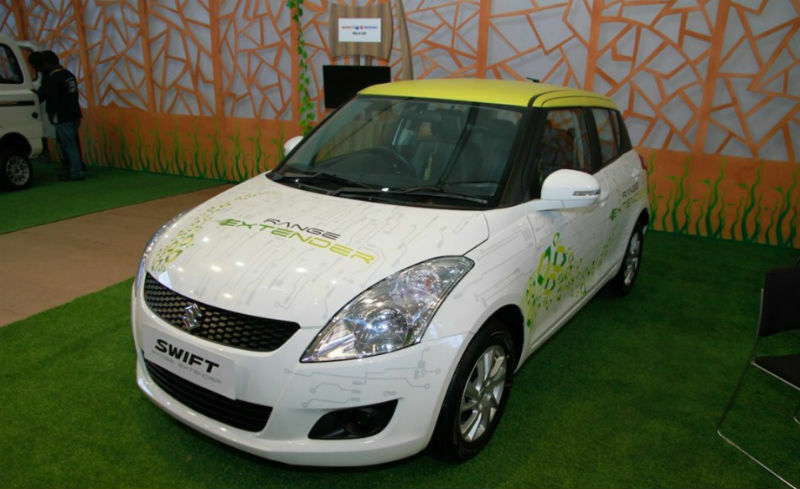 A renowned source on internet has claimed the Indian government has placed an order of the Swift Hybrid Range Extender after it was unveiled at the Delhi Auto Expo 2014. The exact dates and other details are not yet confirmed as the elections are over head. The Swift Hybrid Range Extender is a hybrid version of the Maruti Swift, powered by a 658 cc three cylinder petrol engine producing 74 bhp. A 5 kwh lithium ion battery is attached to the engine, which in combination delivers mileage of 48.2 kmpl, and 25.5 kmpl when run solely on electric charge. The battery takes a mere 1.5 hours to complete the charge. The source further claimed government officials will use it for the pilot project. It is been said, the homologation of the Swift Hybrid Range Extender is near to completion and the car is about to undergo the ARAI test. Hopefully, pricing are not yet announced, and will it be available for the general public too is not disclosed.